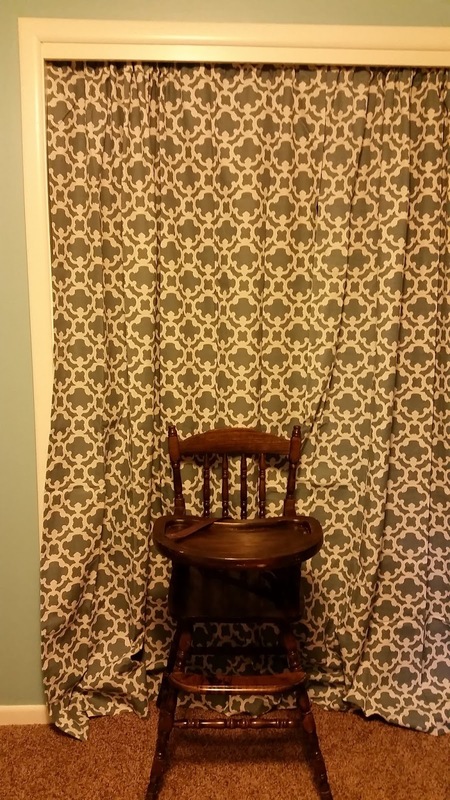 The curtains we bought for in the closet in the baby room are a little long. 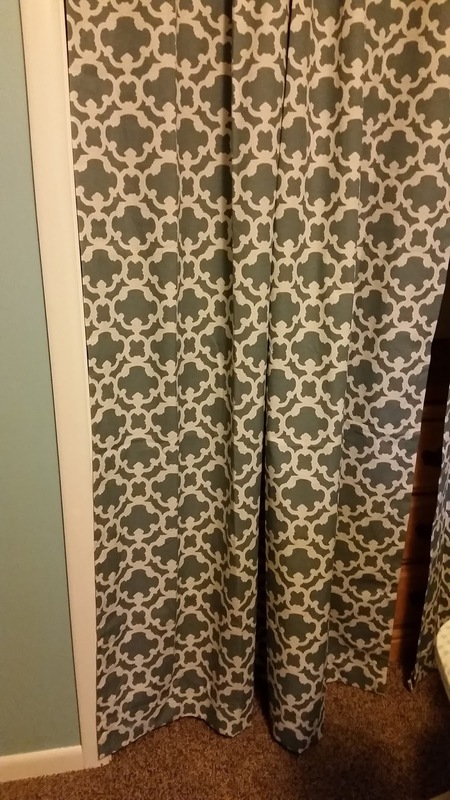 For those that don't know, we are using these curtains instead of the traditional closet doors. We have closet doors in the basement from the previous owners, but when they put in new carpet they didn't cut a place for the door track to lay and, honestly, the curtain seems to work just fine. We (Chris) decided to hem them so they would hang better. Chris did all the measuring, pinning and ironing. 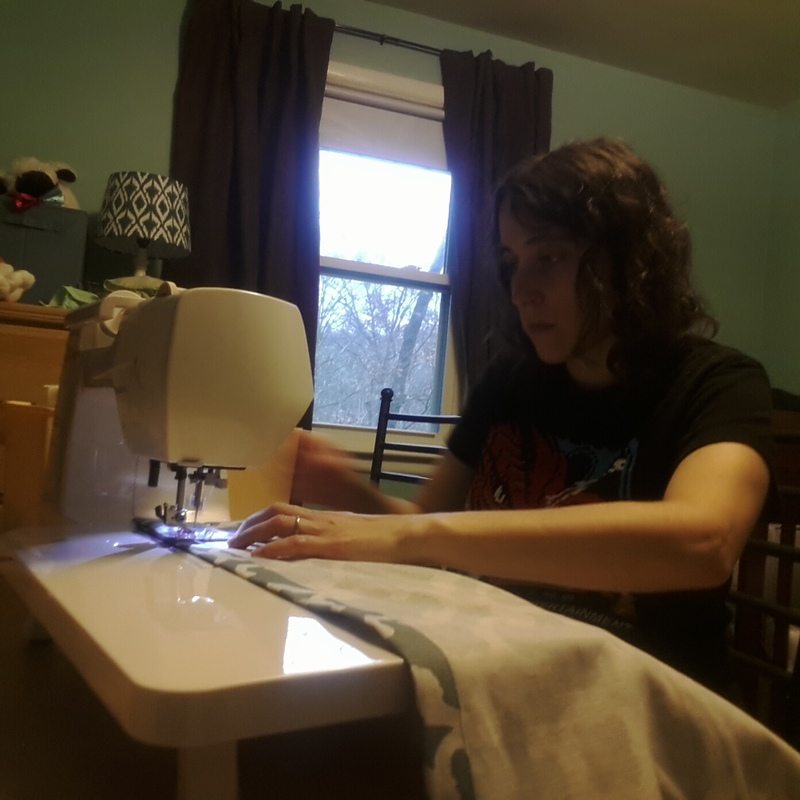 I just had to operate the sewing machine. Now they hang better! I wasn't really keen on doing the hemming. The curtains didn't really bother me, but now that it's done, it does look nicer. When it comes to aesthetics, Chris is usually right.